Overall, I think it turned out a little brown on the outside, but it made for a good crust. 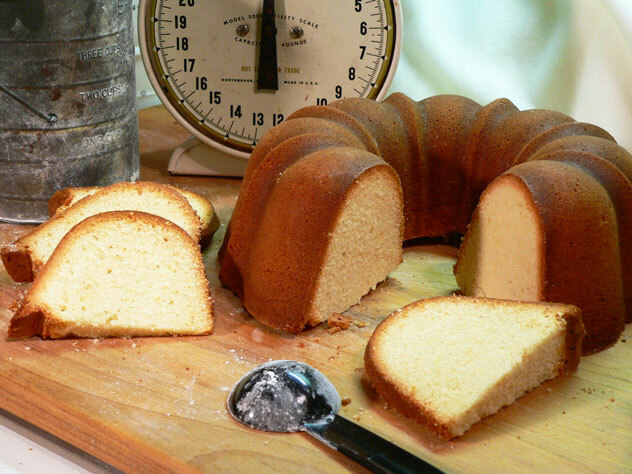 It IS very dense, compared to many of your regular Pound Cakes that add more ingredients. The baking time might be a little longer than needed, as it was just a tad drier than what I’ve become accustomed to. It was quite tasty though, and I was glad I had made it with the powdered sugar and baked it for two hours. I can only imagine what this would be like, baked on a hearth near an open fire, or even in a wood cook stove. Surely it took on a bit of that smokey flavor from the burning wood. That would have been awesome! Enjoy!